Poland's most historic city, currently weighing in with 11 major theatres and over 40 museums, Krakow has always been the 'Cultural Capital' of Poland, and bore that banner on behalf of all Europe back in 2000. Prestigious contemporary art galleries include Bunkier Sztuki ('The Art Bunker'), the International Cultural Centre and Starmach Gallery. Fans of acoustic precision and sporting events should seek an opportunity to visit the city's two newest state-of-the-art venues - Kraków Arena and the Kraków Congress Centre (ICE), classical music fans are spoilt for choice with the Philharmonic and Kraków Opera, while those who favour something more contemporary should beat a track to Alchemia, Forty Kleparz, and Studio Klub. 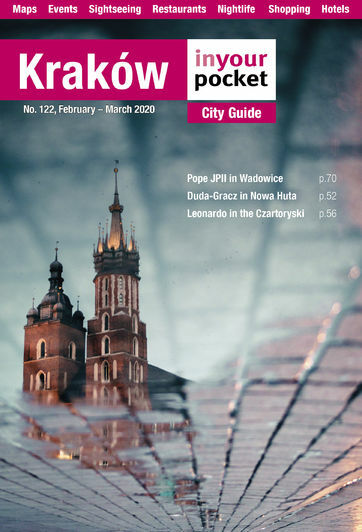 The cultural depth of the city is easily revealed by the range of its festival calendar, with annual standouts like the Street Theatre Festival, Jewish Culture Festival and the Kraków Film Festival, offset by more eccentric endeavours like the annual Dragon and Dachsund Parades (respectively), the Pierogi Festival and Juwenalia (student mayhem!). To see what's on in Kraków, check out our events calendar.